Lightweight and soft, the Selwood Easy Tech Base Layer is both comfortable to wear and easy to care for. The soft material and close fit means this garment is suitable for all sports and outdoor activities. Thus helping to keep you warm on cooler days, whilst wicking away moisture to ensure you stay comfortable. Which makes these base layers brilliant for all year round as they have a multiple jobs. Our selection of colours means there’s something for any occasion. Detailed with contrasting stitching, and a “Selwood” logo on the left arm, they look subtle and attractive. Why choose a base layer? Base layer’s are for all year round, not just in the cooler months they have multiple jobs. The first is to wick moisture away from the skin. This not only helps to keep you dry and comfortable, but as the sweat evaporates from the surface of the material you still have the effects of evaporative cooling to help regulate body temperature. Which is brilliant for when you are competing, as their is nothing worse then being to hot when you are trying to concentrate. And in the cold? Well a base layer is one of the most valuable pieces of kit you can own when the temperature drops. That extra layer between body and a top can make the difference between being able to last three hours in the freezing cold, or only getting out for one. Any everyone knows how miserable it gets over the winter, so make your winter a little easier by staying warm. The Selwood range of clothing and accessories is designed so any garment can be worn individually, or to worn as a complimentary layered combination. Our range of Polo shirts shown below look amazing when paired with a contrasting selwood base layer. Not only is this look practical, chucking a polo top over the base layers over means you can match your cross country colours. As we are very aware this year matchy matchy set are in this season. 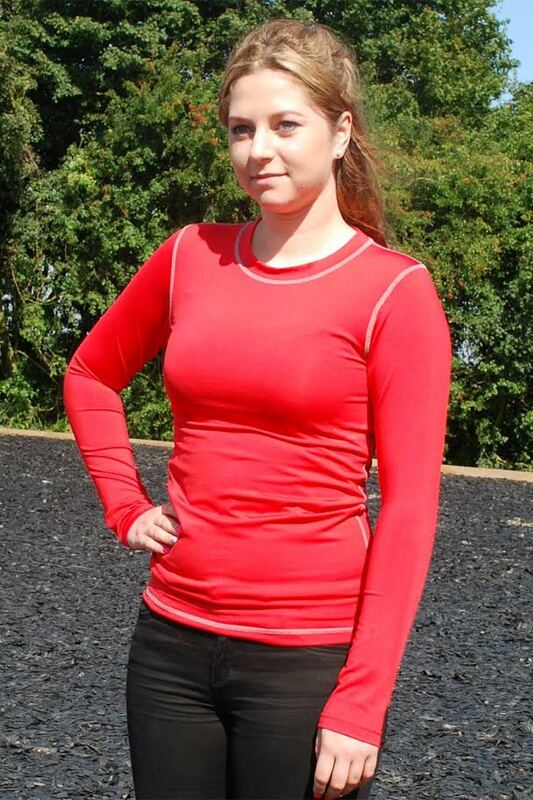 Buy yours now before stocks run out, as not only will you be set for winter with these grate tops and base layers you will ready to kick start summer as well.